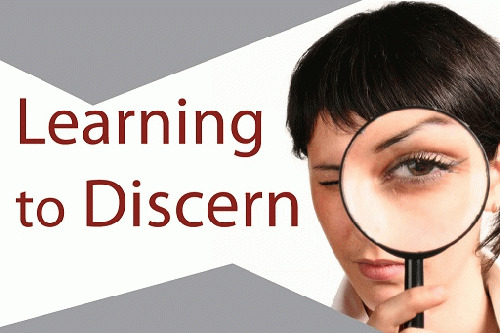 In the course of running a discernment ministry it is sometimes asked why more of the focus is not on prevention of people falling into false teaching as opposed to convincing them the need to come out. While it is a fair enough question it does miss that when pointing out what is false there is always an inherent pointing to the truth. The reality is that we are all called to do the work of a Berean in our own walk and ensure that everything we hear is truth. We do this not with an open mind but with an open Bible. You should not trust me anymore than you should trust Joel Osteen. I am human and my heart is wickedly deceitful above anything ever created. My intentions matter not. Only my doctrine does. That said, when I saw this question recently asked again I thought maybe it was time to do another devotional strictly about prevention. How do we spot false teaching while we are hearing it? We will look at five key warning signs God has given us from Scripture, which are found in the key verses for today. Before getting into the five areas it is important to note what we learn when Peter opens this discourse. He makes a direct comparison between what falseness meant in the Old Testament and what it will be in the new and in doing so draws a clear distinction about the often abused gift of prophecy. The comparison in verse one is simple. Just as false prophets arose among the people in the past -- false teachers will arise among you. Why the distinction? In the past the word of God came only through the prophets but in the new covenant we have the final revealed will of God. So in the old way, someone was a false prophet who claimed to say thus sayeth the Lord but never actually heard from Him. In the new it will be a false teacher. Someone who takes the word of God and twists it. So modern day prophecy is not this mush of clairvoyance and psychic parlor tricks. It isn't cold readings and fake words of knowledge. It is directly attributed to the word of God or it is false by definition. God did not forget to add something to His Word that He is now revealing only to your dime-store huckster prophet. The first lesson from the key verses for discerning false teaching is to recognize that false teachers will be among us. They will be known. They will be friendly. They will be people that were possibly respected in the church. When Paul leaves the Ephesian elders in Acts 20 he says they will arise directly from among you. This may seem obvious but I cannot tell you how many times the defense of false teachers begins with -- but I know him. When I was on the Michael Brown radio program discussing Bill Johnson that was his defense of Johnson. That he knew him and I did not. To which I say -- who cares? I know his teaching. When you read the New Testament, the false teachers discussed were all from the inside. The Assemblies of God produced the likes of Benny Hinn and Jim Baker. They still currently have the likes of Mark Batterson in their camp. Sometimes it seems that those lacking in discernment think wolves come into church snarling with a neon wolf sign around their neck. Not at all beloved. They come as your friend. Your mentor. Even your pastor. That is why we are not to succumb to the purpose driven cult of personality pastor system. I love my pastor dearly but he did not die for my sins. It is because I love him that I will be the first to tell him if his theology goes off course. Sincerity is irrelevant. You can be sincere and sincerely wrong. The second facet of false teaching is that it centers on heresy. This is a word that is sorely misunderstood and possibly overused to the point that people are become numb to it. Simply put, heresy is teaching that is contrary to sound doctrine. In this age of blurred lines and shades of grey we are supposed to stand on the absolute truth of Scripture. Things are black and white but only if we approach the word looking to hear what God has to say -- not confirm our worldview. I was saved in a Charismatic church. It was not easy when confronted by the truths of Scripture that showed me what portions I believed that were false. That there was no such thing as slain in the spirit. That Jeremiah 29:11 was not written to me. That the head and not the tail verse has caveats attached to it that I could never meet. Heresy must also be consistent. Anyone can mistakenly say something while preaching. Grace says we give them time to correct their record but if they persist in heresy then we mark them as such and we are not to have anything to do with them. I remember a few years back Brian Houston said in a sermon that we serve the same God as Muslims. There was no question he said because I heard it. Now Houston may be one of the worst false teachers on the planet but he had never espoused Chrislam before so I waited a week and sure enough he said he made a mistake in what he said. Good enough for me. Beloved this verse is from the story of the Tower of Babel. Osteen used it to teach that God somehow is encouraging us to expand our imaginations when the reality of the truth is the opposite! God was so upset He scattered all of the people and confounded their languages! Mind you this is how Osteen preaches. He does not read verses -- he references them. You walk away thinking he used the Bible but unless you go home and check, you will never know if you were actually lied to or not. Another common trick to watch out for is the claim of direct revelation. Joseph Prince for example claims every sermon he preaches is divinely spoken to him by God. False teachers claim direct revelation so that no one will question their unbiblical teachings. God will never give a direct revelation that is contrary to His written word. He reveals things in His Word.